In recent years, the California Health and Human Services Agency (CHHS) has fostered a culture of data driven innovation among its 12 departments. By removing barriers to data sharing, encouraging interdepartmental collaboration, and using existing data sources to produce business intelligence, we can improve program outreach, service delivery, and ultimately, clients’ lives. It is with these goals in mind that we are launching the California Health and Human Services Program Dashboard. 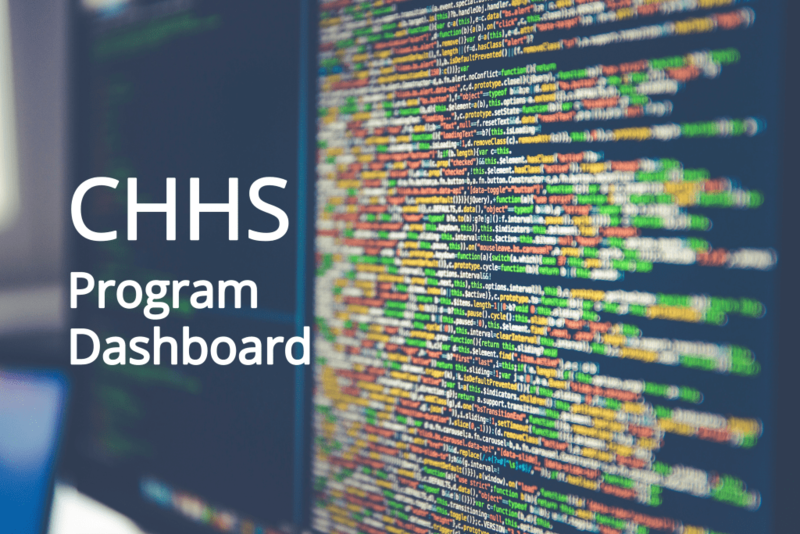 This Dashboard gathers participation data from seven different programs across four departments in an effort to provide a more comprehensive view of CHHS services. The Dashboard includes de-identified, aggregate level data in accordance with the CHHS De-Identification Guidelines in order to protect client identity. In order to fully address the needs of vulnerable Californians, we must look at our programs from a client’s perspective. In many cases, our clients’ varied needs, such as food insecurity or a lack of affordable child care do not happen in isolation of one another. With this in mind, we have created data products like the Dashboard to help program managers better understand the multifaceted nature of service provision in a dynamic, intuitive format. By providing a “one stop shop” resource for data communities interested in CalWORKs, CalFresh, IHSS, Foster Care, Medi-Cal, DDS’ regional center clients, and/or WIC, we can make it easier for them to put public data to use for the benefit of clients. In addition, by housing the Dashboard on the CHHS Open Data Portal, this work helps advance the Agency’s goal of maximizing data transparency and accessibility by placing useful information in the hands of the public. By doing so, we take steps toward bridging the gaps that exist in large governmental organizations such as CHHS while furthering a more global understanding of the ways in which our programs benefit Californians. Additionally, the Dashboard is a resource for state legislative and congressional offices. It helps answer questions such as, how many people in my district participate in certain health and human services programs? How many of my constituents rely on more than one program to make ends meet? And, what are the most utilized services in my district compared to neighboring districts or the state as a whole? A county-level component also allows county governments and local stakeholders to access data specific to their needs. We plan to build on the Dashboard through an iterative process. To reach the greatest number of interested data communities, it will be crucial that we take into account the evolving needs of current users, but also seek out those unfamiliar with the project and get their feedback. County staff, advocacy groups, and other program stakeholders can provide valuable insight into potential uses of the Dashboard as it grows. Building the Dashboard from a client centered perspective means taking efforts to include as many pieces of data that are relevant to our clients’ lives as possible, regardless of department, and we will look to add data from other departments. Based on these strategies and an ongoing commitment to putting useful information in the hands of those who need it, this Dashboard will remain a part of our broader CHHS effort that strives to develop a data-driven culture of program management to benefit our partners and clients.